Next month, non-profit educator Families Through Surrogacy (FTS) returns to Auckland with its popular seminar series covering egg donation and surrogacy options for those requiring help creating family. 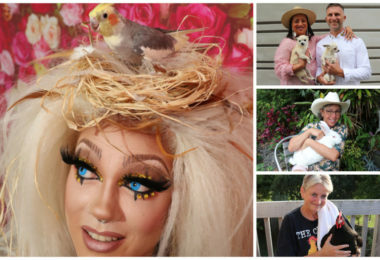 With gay men making up over half of those needing egg donors and surrogates, FTS have scheduled the family building seminar to coincide with Auckland’s Big Gay Out on Sunday 10 February. 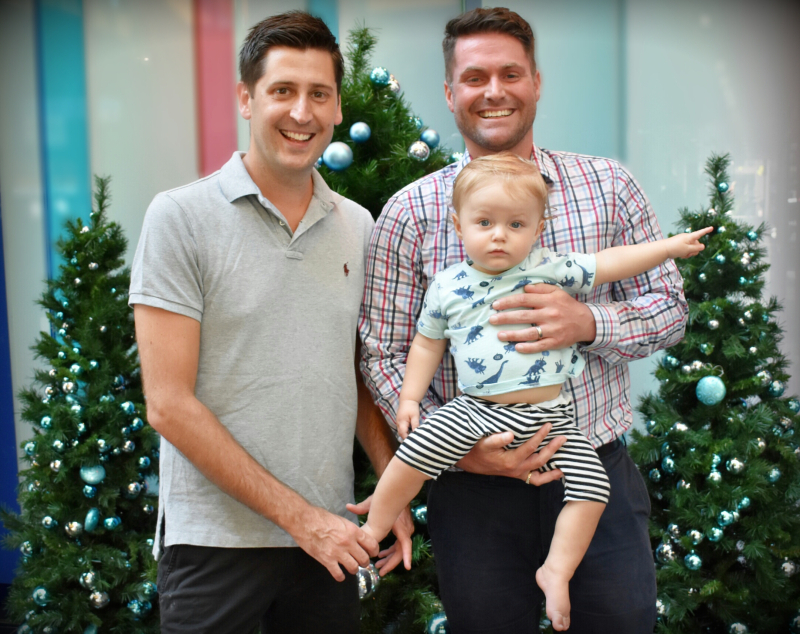 Four gay dads will be sharing their journeys to parenthood – each quite different. 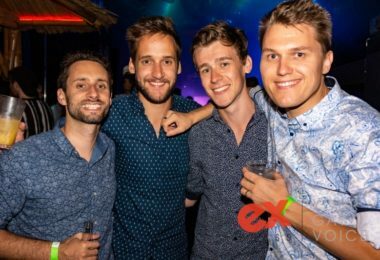 Some, like Instagram sensation Christian Newman 34, and husband Mark Edwards, 35 eventually found a surrogate here in NZ, though it was long after the launch of their Baby Daddies Facebook page. At first, the couple were inundated with responses, but after a three-month vetting process, all the potential surrogates had dropped out. They eventually connected with paramedic Aleisha Hart from Nelson, in June 2016. Then in August, Newman’s 26-year-old sister-in-law stepped in to provide eggs. Their son, Francis was born on June 6 after a four-year journey. 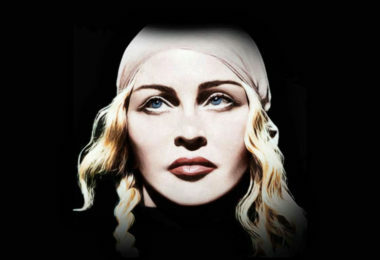 They have been the subject of a TV special and magazine features. In contrast, Simon Romeo will speak about his successful experience in Mexico in 2017 which led to his son Saxon’s birth, and why they are returning to Mexico for a second child this year, despite a 10 to 12 week wait to bring the child home, post-birth. Stuart Beard will talk about the popular trend of traditional surrogacy in New Zealand – a method which uses home insemination and the surrogates own eggs, circumventing the need for expensive IVF. After four years, two surrogates, and a lot of sleepless nights, their daughter was born in 2016. Their surrogate is now ‘Auntie’ and a valued member of their family. Petar Stamef works in financial services. His partner Joel is an accountant. The couple have been together since they met in Sydney in 2008. Six years on they started talking seriously about kids, but with a wedding and move to Auckland, it was two more years until they were serious. They considered creating a family locally, but adoption seemed like an impossibility as a gay couple. Surrogacy they decided was the way to go. India, Thailand, and Mexico seemed to either be closing the door to gay couples or pose a significant legal risk. Ultimately they decided on the US. An agency model would guide them to a surrogate who was psychologically and medically ‘ready’ for surrogacy. Being English speaking, they could build a meaningful relationship with their surrogate and more easily navigate medical appointments and legalities. 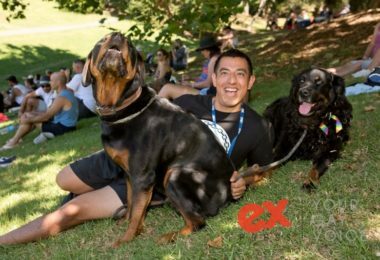 It took about six months to obtain NZ citizenship for Hugo and although biologically their son, under NZ law, Hugo’s dads had to adopt him to become his legal parents. So how has Petar coped with a year as a stay-at-home dad? At his kids playgroup, while Petar was often the only dad, the other mums unquestioningly welcomed this modern family. 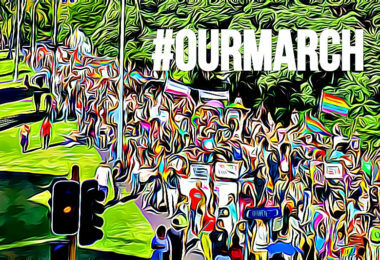 Families Through Surrogacy’s Auckland seminar on Sunday 10 February will explain more about the options available for LGBTI intended parents; the important considerations in choosing providers, including costs, journey lengths, and how to minimise risk from experts, surrogates, egg donors and parents. 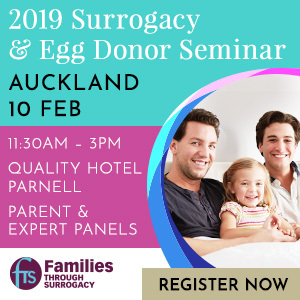 Go to http://www.familiesthrusurrogacy.com/aust-nz-surrogacy-egg-donor-seminars-feb-2019/ for full details.